This year's Dreiländerkonferenz will be hosted in Vienna. 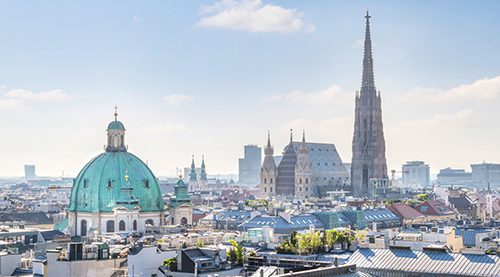 After a get together at Gustl kocht on 20 September 2018, the conference will take place at the Park Hyatt Vienna on 21 September 2018. Following tradition topics will be discussed from the perspectives of Austrian, Liechtenstein and Swiss arbitration law. Click here for a more detailed program. Registration is now open use this link to register. Please note that the conference will be held in German. For further information visit http://gar.live/vienna2018. On 14 July 2018 Austrian Arbitration Academy started its summer program. Arb|Aut is proud to announce that this year's Arb|Aut scholarship was awarded to Nguyen Gia Thien Le - an excellent Vietnamese law student currently working on his PhD at the University of Osnabrück. We hope Nguyen Gia Thien Le and all other participants of the Summer School had a a successful and enjoyable time in Strobl.